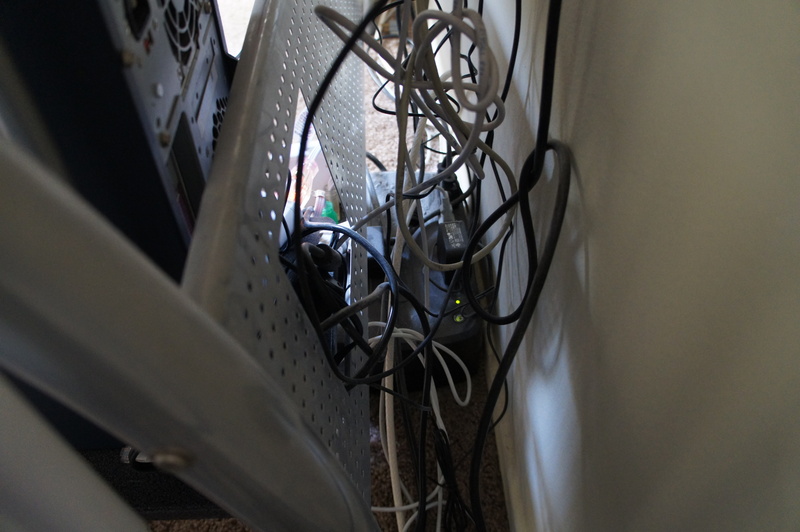 During the late afternoon, I cleaned up the Rat’s Nest of Cables in the living room so I decided to clean up the mess in my home office too (pictured above). 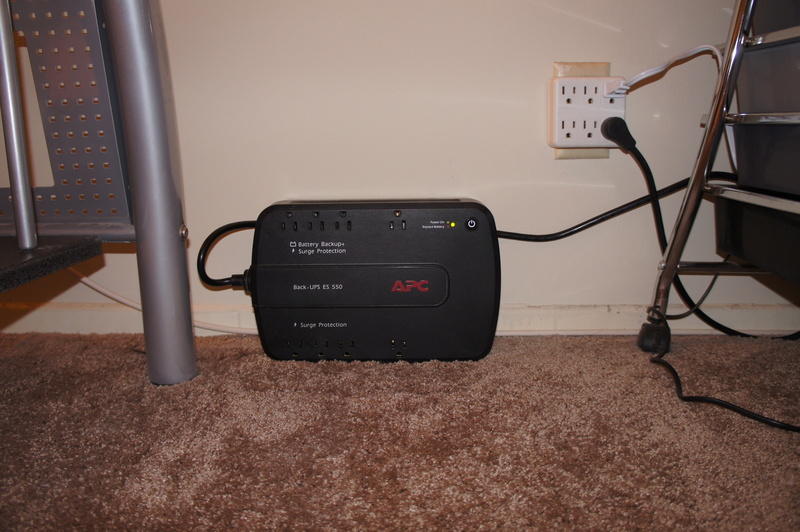 This was a much more challenging project because there are a lot more devices involved with wires and cables just about everywhere. It was indeed a scary sight especially with loads of dust all over the place!!! This is what the back of my desk looks like. A small child can get lost in there! 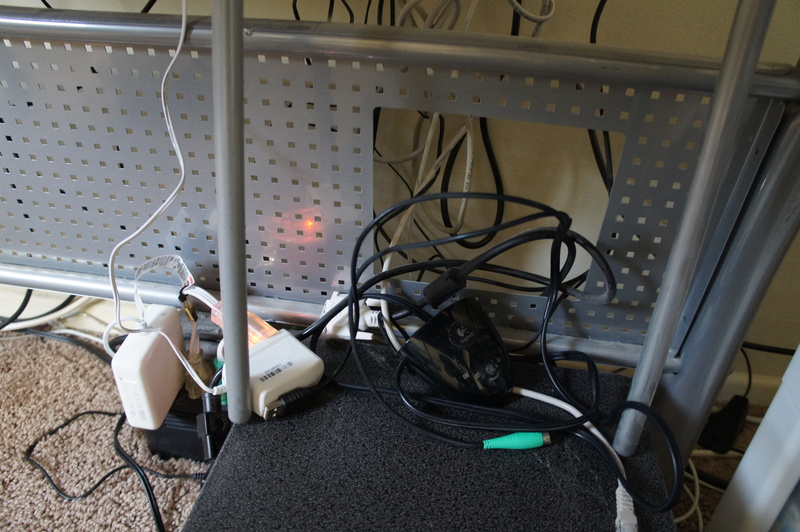 One by one, I started unplugging and removing the hardware off my desk. 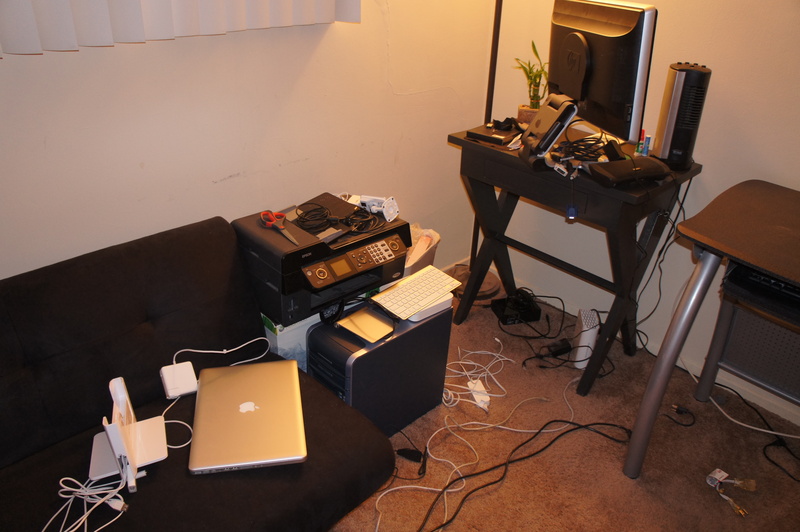 This was where I had the printer. Dusty! 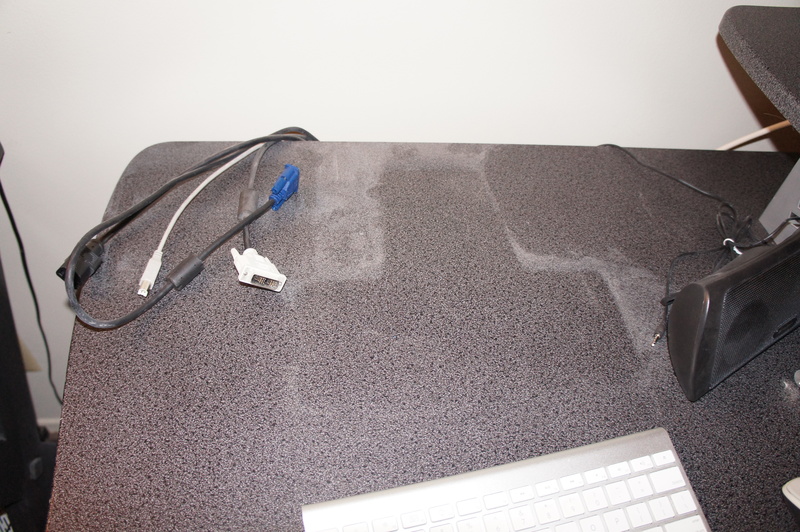 Off came the monitor… Dust imprint kinda looks like a volcano with smoke coming out of it!!! 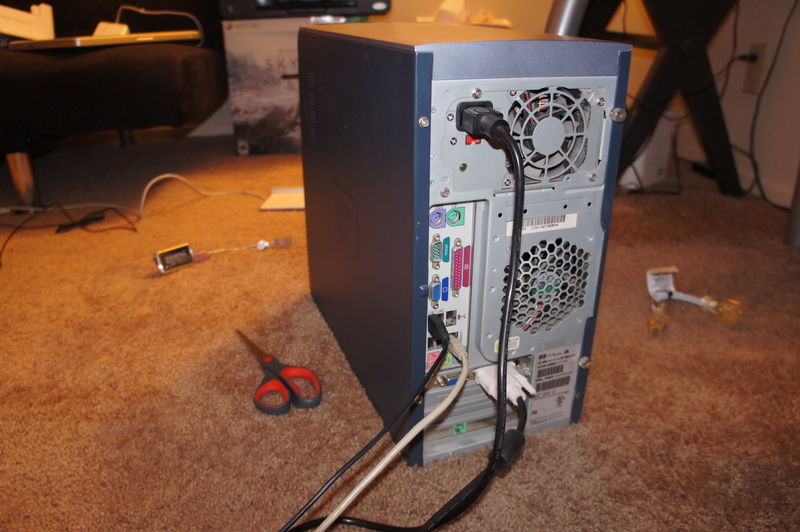 I haven’t touched this thing in years… now you see why! It’s freaking disgusting!!! 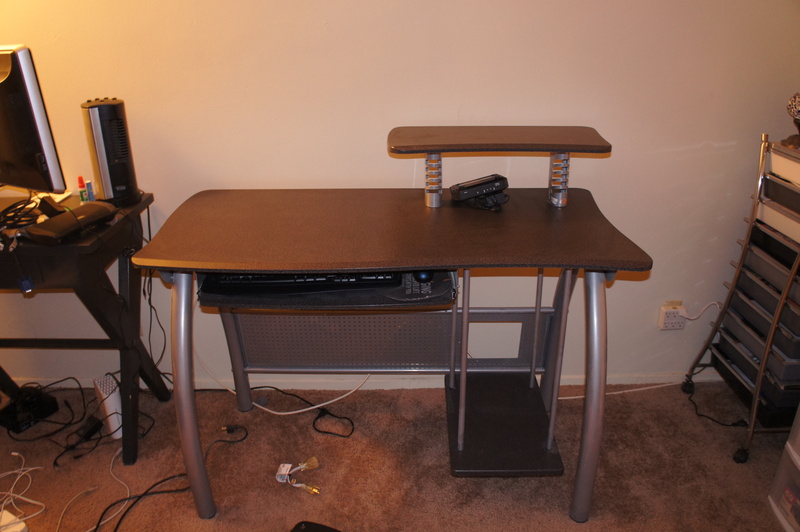 All the hardware is off the desk and moved to the side. I’m going to start putting everything back one by one. 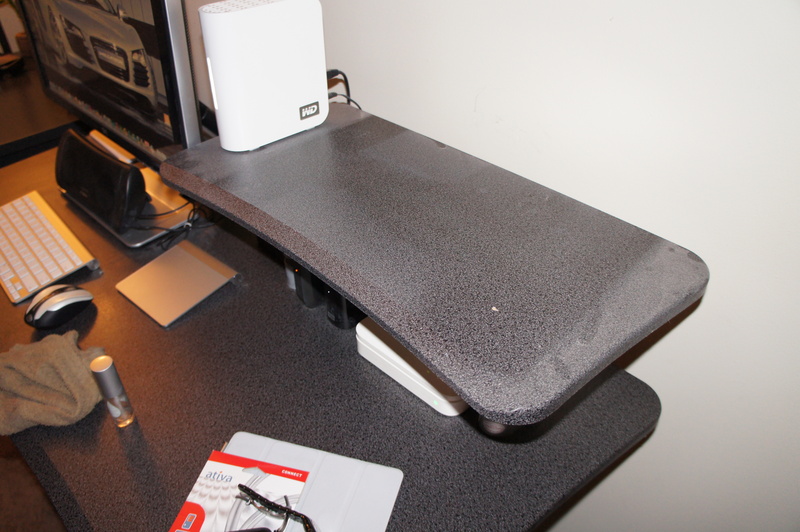 Desk is bare with everything removed… What to plug in first? Recognize this? 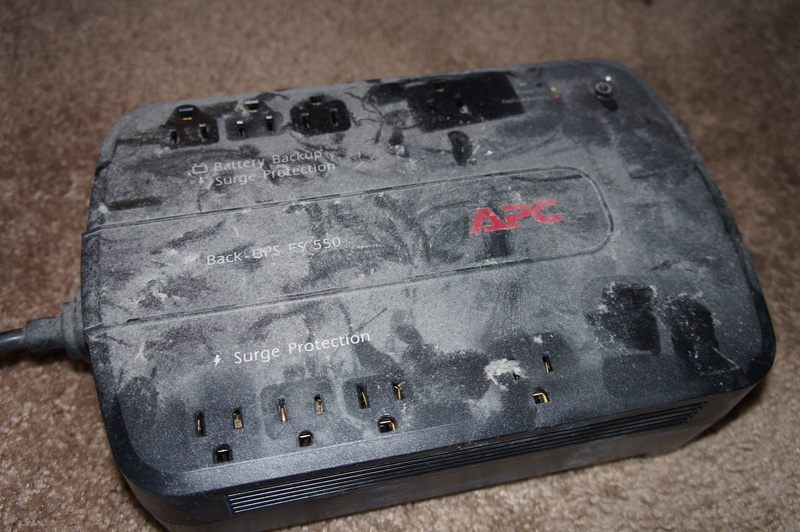 It’s my power backup / surge protector that was covered in dust! I had it relocated so that I can use the plastic storage bin to conceal this. One by one, I started plugging everything back in starting with the desktop, then the monitor, etc going from right to left of what was on my desk. Zip tie here, zip tie there… I was starting to get tired because it was late at night. I probably (not probably, I DID) cut a few corners because I was starting to get exhausted. 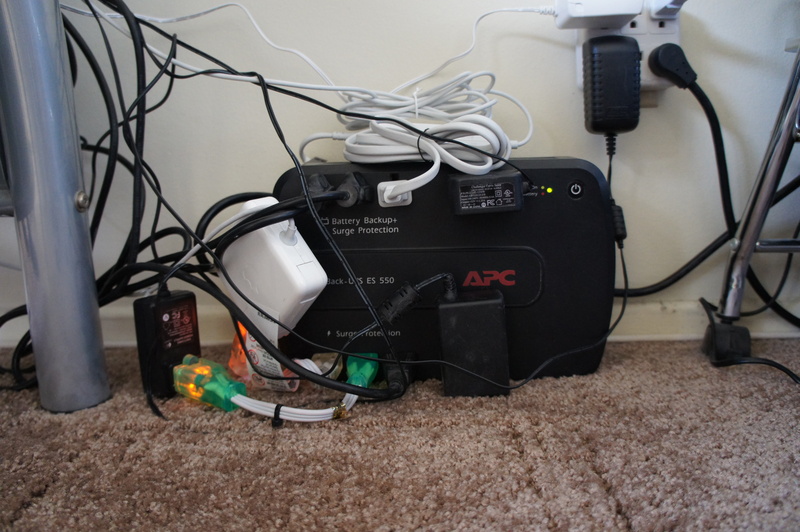 With everything plugged in, this is what my surge protector looked like. After that I placed the plastic storage drawer in front to hide it. And I’m done!!! Somewhat of an improvement. 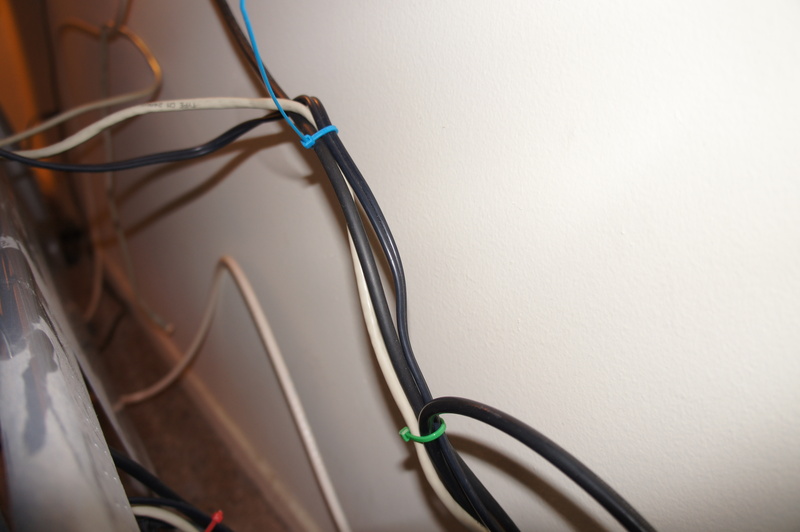 I definitely could have done a better job if I lined up the cables along the edges of the furniture like I said I would in the living room project. Still much better than what it looked like before!!! 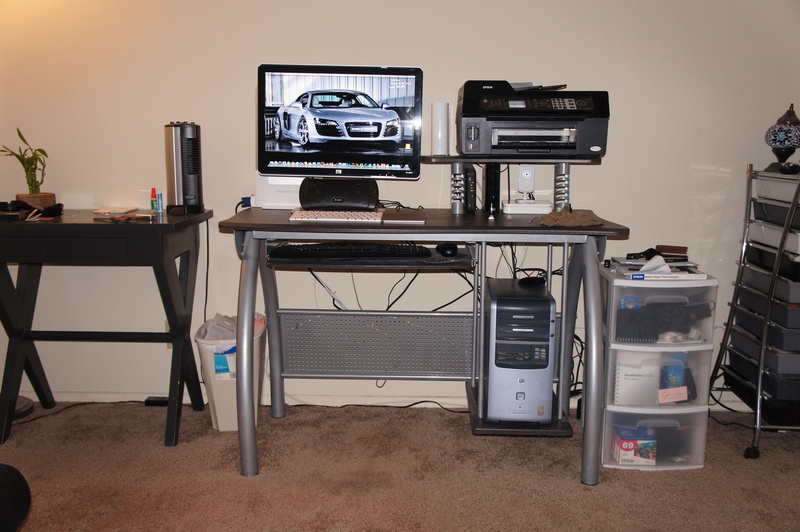 Well there are many products in the market that are good to sort out this type of mess under the computer table. I really want to say that it was the problem of many others.